Jade is in kindergarten. She’s seen her share of changes like seeing her parents getting divorced and moving to new country. Raja her stuffed tiger helps her feel safe. He’s her best friend and he comes alive at night and chases the monsters and bad dreams away. 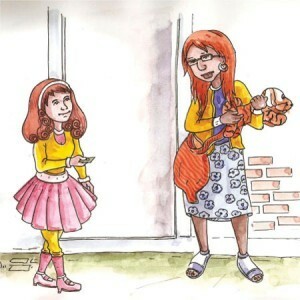 Jade and Raja are inseparable and everyone tells her not to take Raja to school. One day Jade decides to take Raja to school and forgets him there. When she returns to school the next day, he’s gone. Jade has to face the fact that Raja is gone forever. Don’t Take Raja to School is the incredulous and true love story of Jade and Raja. Jade never stops looking for Raja from kindergarten to grade six, until one day, as she’s about to give up and let him go, a miracle happens.